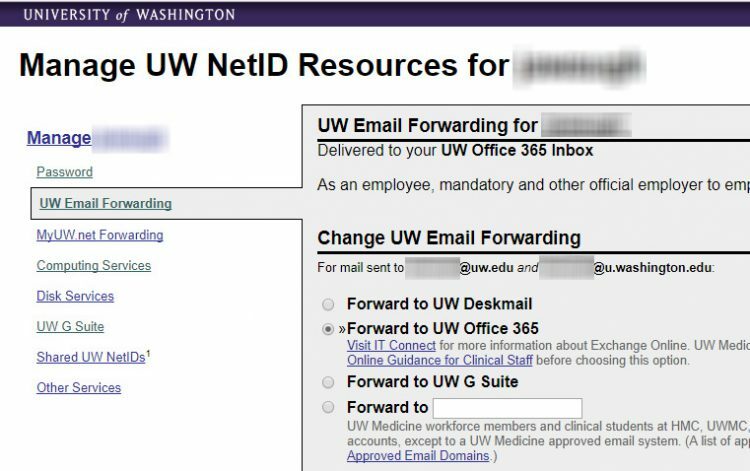 When you enroll at the University of Washington, you are asked to sign up for email service through UW Office 365 or UW G Suite by Google. As a nursing student, you should choose Office 365 for your email service because you may be communicating sensitive information that cannot be sent via Google servers. Office 365 is HIPAA and FERPA compliant while Google is not. That’s it! You are now set up to safely send and receive emails using the UW Office 365 service.